Clear Bra Maintenance Instructions - EVS Motors Inc.
You might have thought that Clear Bra Maintenance is not required, however, it is recommended. We have seen some bad looking paint protection film before. And even thought the quality of the install and used material makes a difference, the maintenance recommendations are very similar to all of them. So if you spend a good amount of money on paint protection film, do yourself a favor and spend a little extra time on maintenance. This will allow you to keep it looking nice for years. (Or you just get our lifetime warranty packages and get it replaced every time you get the edges dirty). Before we get into it, the most important part is to avoid getting dirt and wax under the edges of the clear bra. To avoid it, you should always clean and wax the clear bra from the center of the film to the outside, away from the edges. If you happen to get wax into the edges, clean them off right away. Otherwise it can be a problem down the road and edges prone to peel up if the dirt and is not removed. Dirt trapped in “fingers” like you see below should be cleaned by a professional only. Please make sure to take your vehicle back to your initial installer or bring it to a reputable shop for a second opinion. This is a more extreme version of badly maintained clear bra. You should definitely get the edges cleaned before they start lifting but that is the best example picture I have seen. Our clients are pretty good about maintaining their paint protection films or have someone that maintains it for them aka a detailer. We always recommend at least a 2 bucket method approach to clean a vehicle that is dirty. First, rinse the vehicle from top to bottom. If you choose to use a power washer, stay at least 8 to 12 inches away from the bra. This particularly goes for the edges. Wipe your soapy mitt in straight lines as you would for a regular wash, however, start from the center of the clear bra and away from the edges. Dry with a soft microfiber towel, again being careful with the edges. Our ClearGuard Nano does not require wax because it comes with a hydrophobic top coat, but if your film requires it, make sure to wax from the center of each panel outwards away from the edges. Avoid wax getting caught on the edges but if you do, make sure to clean it right away. Later on I explain on how to do that. For proper clear bra maintenance it is a must to know how to clean dirty edges. 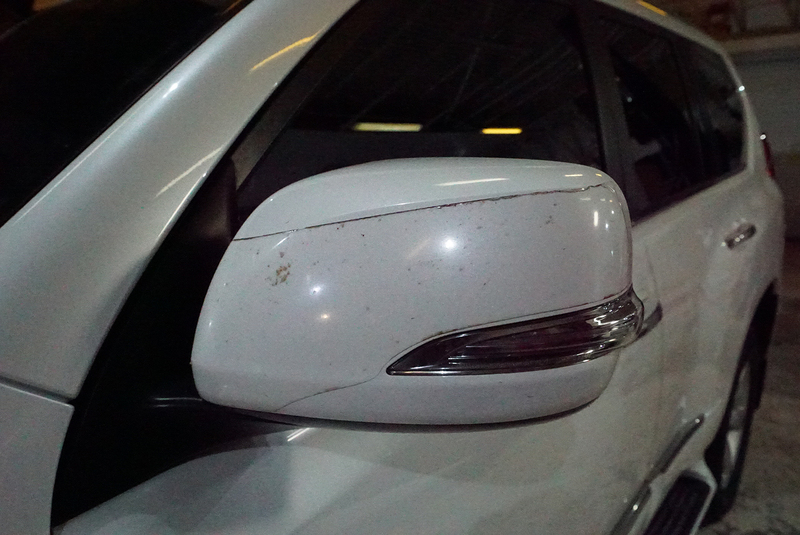 On a white vehicle you will notice dirt more than on darker colors, however, on darker colors you can see wax residue more. If you are trying to get rid of wax residue that is fresh, use a short bristle detailing brush and use swiping motions up and down. Do not wedge the bristles against the edge and try to poke underneath it because the hairs can get caught. This can make edges lift which is definitely not what we are going for here. Wipe the wax off with a damp microfiber towel. 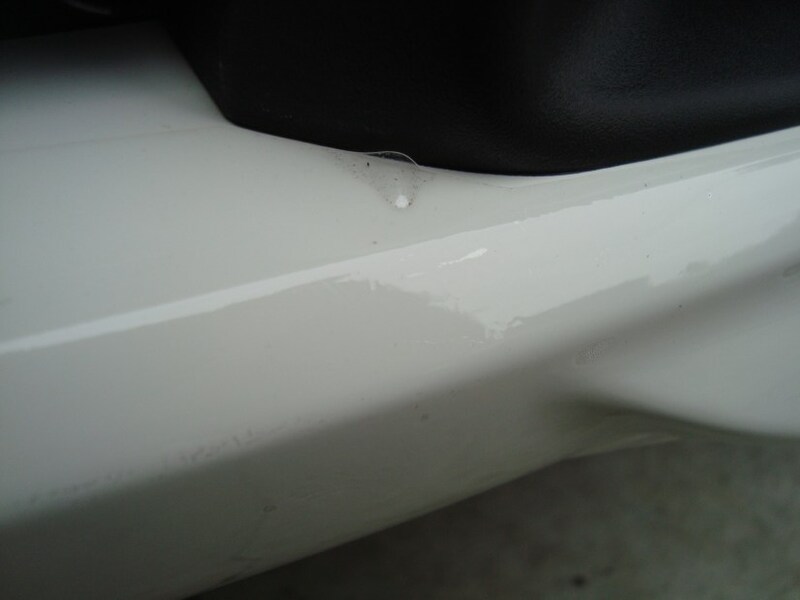 If your wax residue has dried already, it might take a little longer to get rid of the crusty white edges. But you can use the same technique for dirt that sits on the edges. Use soapy water (PH neutral car soap if you care just a little about your paint) and use a spray bottle to spray it on while you use the brush mentioned earlier to loosen the dirt. Whatever you do just be gentle. It should come off fairly easy and we used this technique many times to clean our clients vehicles. 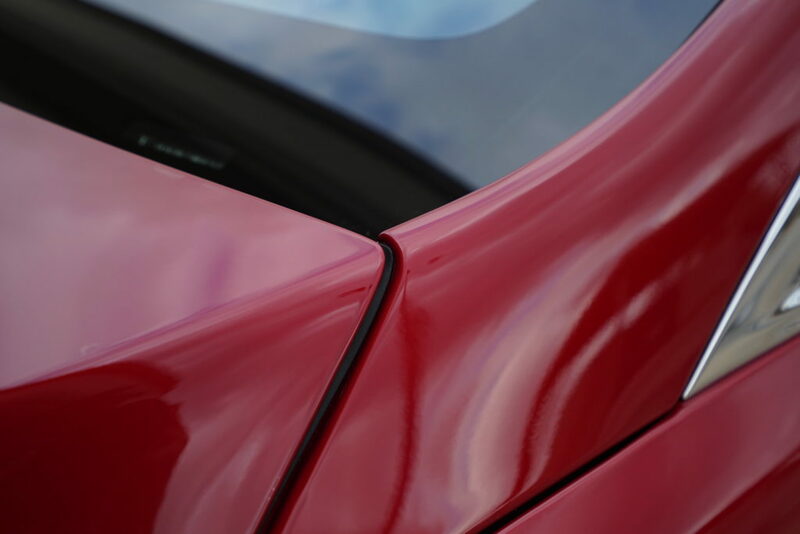 In doubt, bring your vehicle to a professional high quality clear bra installer to assess if the dirty edges can be cleaned.